Rare! Limited quantity available! 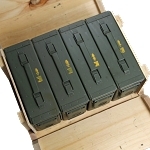 New condition USGI 6 pocket 7.62x51mm / .308 ammo repack kits for the M14 / M1A rifle. 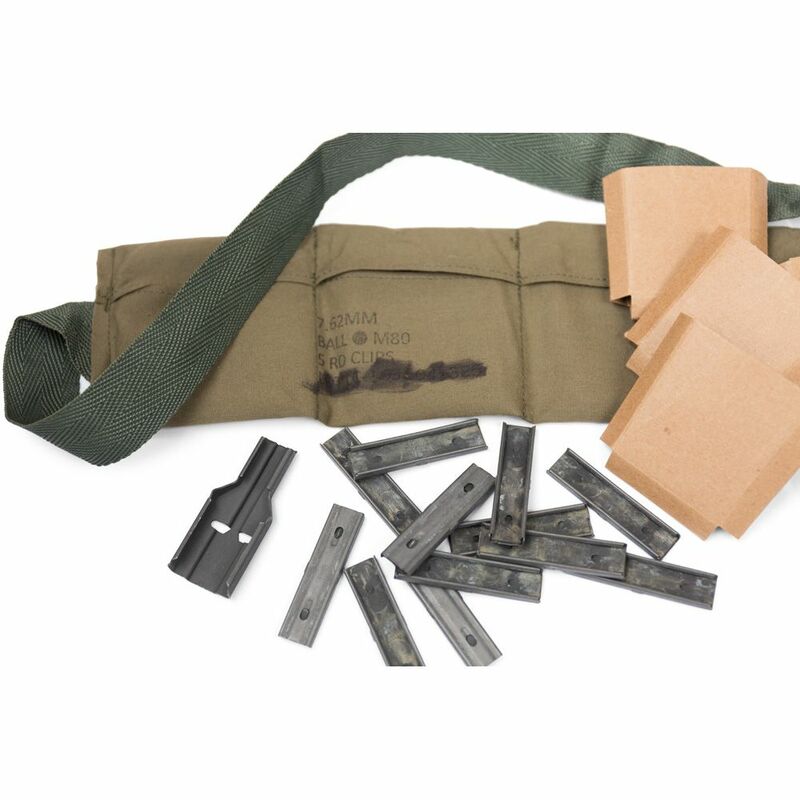 Each kit includes everything you need to repack a single bandolier with 60rds of 7.62x51mm / .308 ammunition with mil-spec, USA Made, Lake City components: a six pocket bandolier, six cardboard sleeves, 12 stripper clips, one stripper clip guide and a safety pin. The lot numbers on the bandoliers indicate 2016 production. 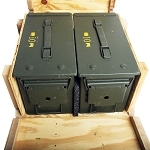 Seven, 6 pocket bandoliers will fit in a M2A1/M2A2 "50 cal size" ammo can for a total of 420 rounds of ammunition per ammo can. Each 6 pocket bandolier is in new condition with the Lake City lot number crossed out. 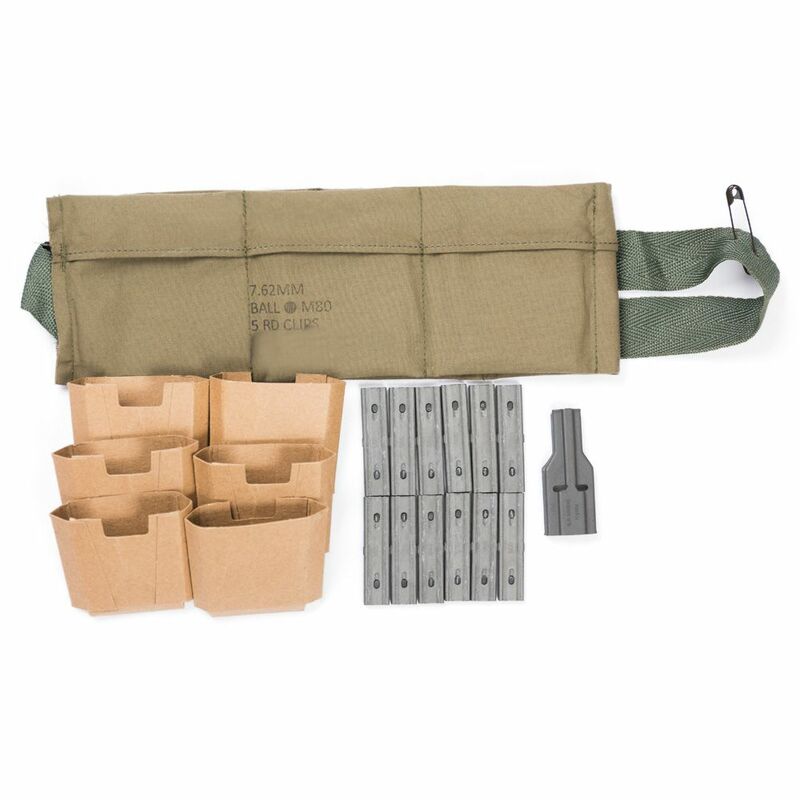 Each of the six pockets in the bandolier will hold two, five round stripper clips for a total of 10 rounds of 7.62x51mm NATO / .308 ammunition per pocket which is a total of 60rds of ammo per bandolier. 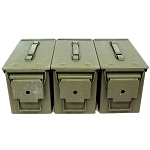 The bandoliers are labeled “7.62MM BALL M80 5 RD CLIPS.” Ammo cans labeled for M80 ball 7.62 ammunition are available to complement these bandoliers and will hold four loaded bandoliers for a total of 240 rounds. 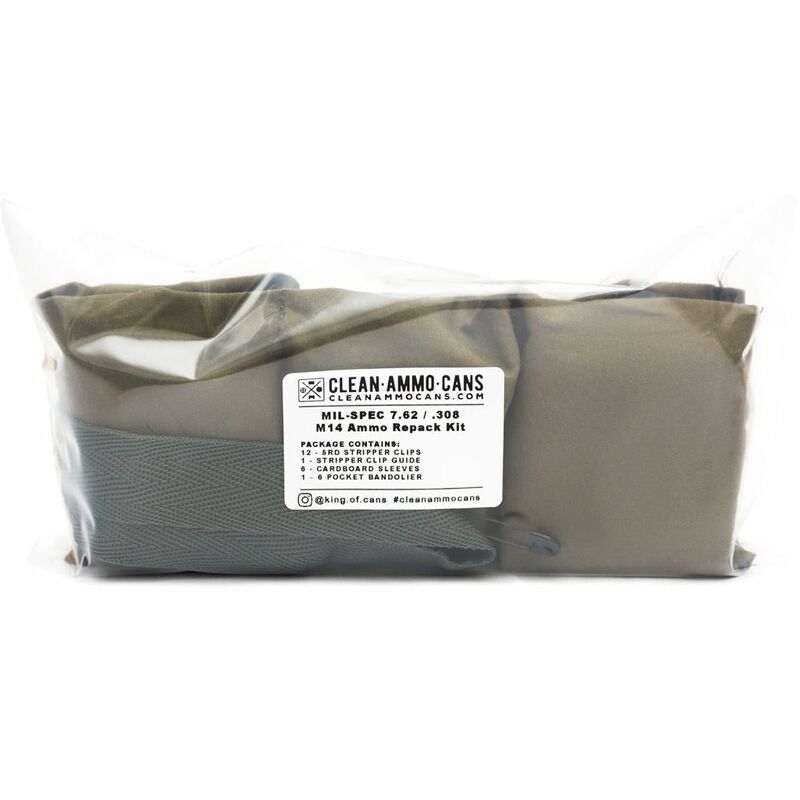 Each .30 cal repack kit ships in a sealed plastic package to ensure all of the components stay together. 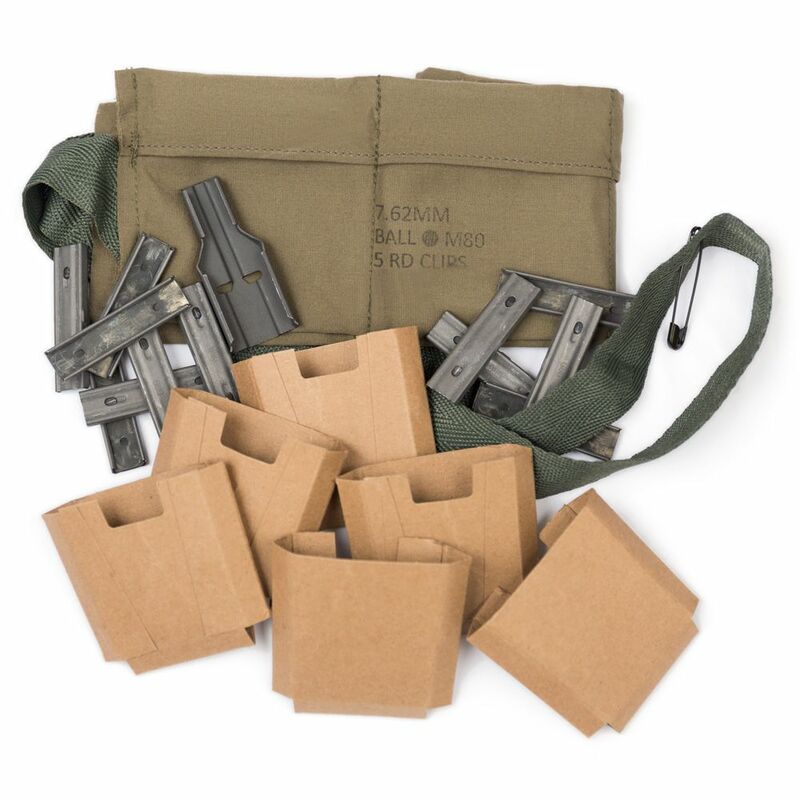 Inside each pocket will be one cardboard sleeve, and two stripper clips for the M14 / M1A rifle. 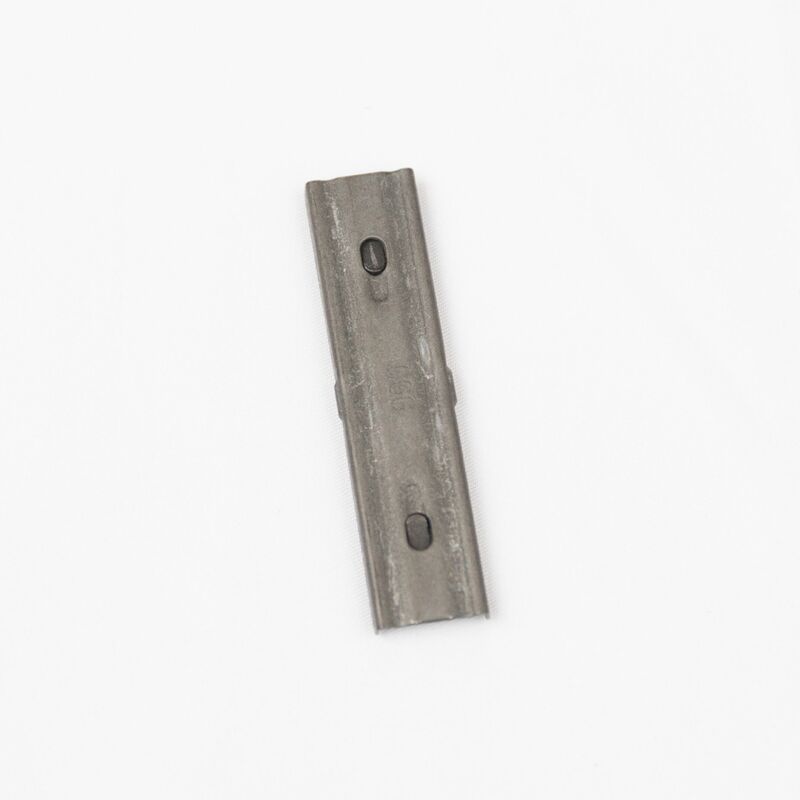 The safety pin will be pinned to the cloth of the bandolier with a .30 caliber stripper clip guide inserted into one of the six bandolier pockets. Don’t let this opportunity slip away! 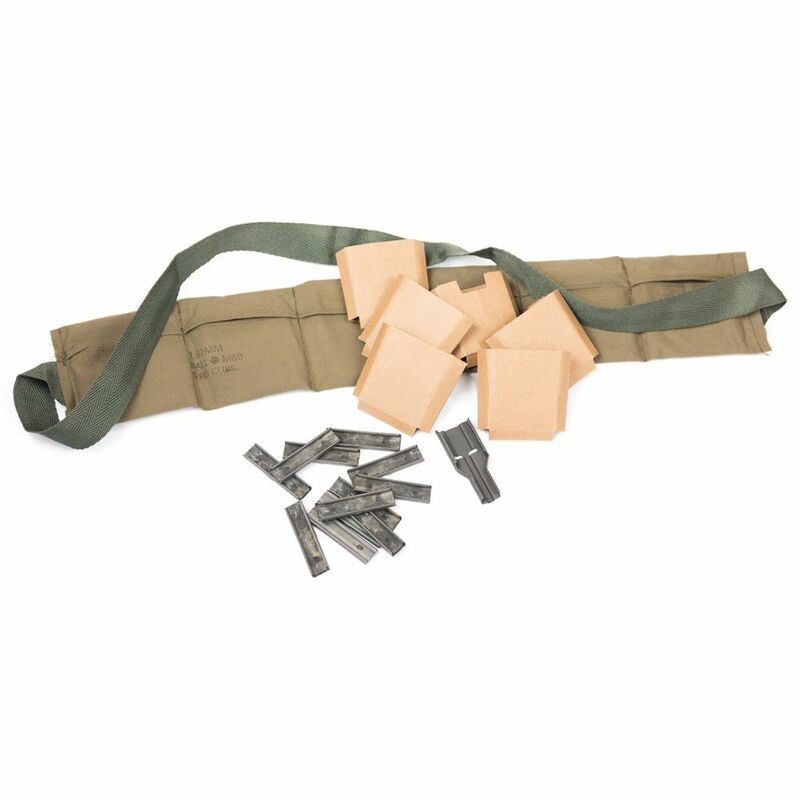 We have on good authority that these are the only .30 cal stripper clips and bandoliers produced by Lake City in at least the last 10 years with no plans for any further production. This is an exclusive purchase opportunity for these hard to find components. Stock up now to take advantage of this unique opportunity. Available while supplies last! I love WW11 stuff. Always have. And having a bandolier to go with my WW11 rifle was a must! 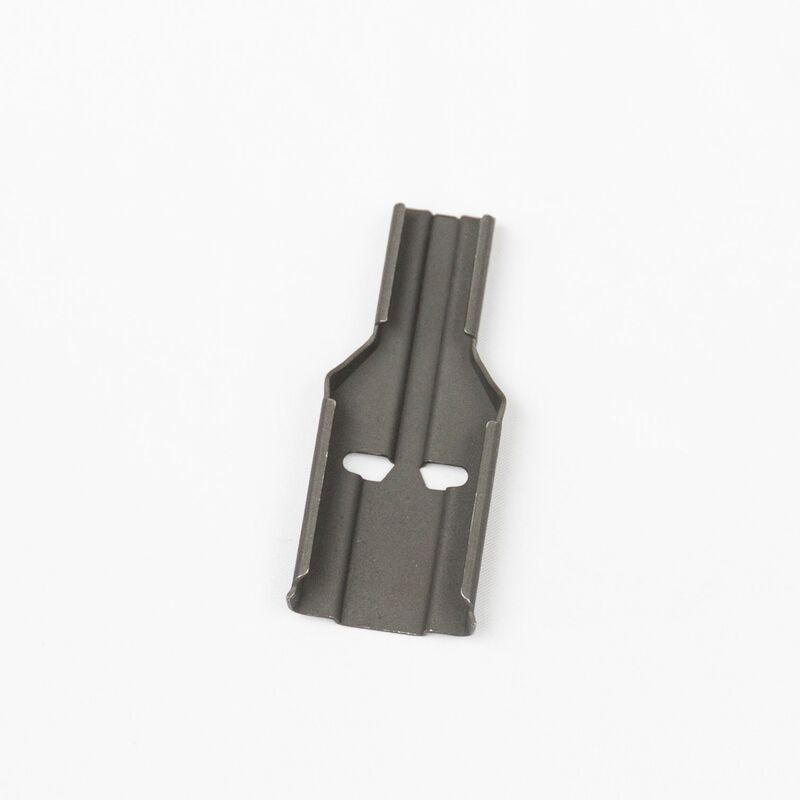 The only bummer is, they don't make them for 10 round stripper clips. My purchase from cleanammocan.com is great! Everything is there. I think there's even an extra stripper clip. The card board liners are brand new. In fact, I don't think any part of the bandolier has ever been used. It's a great purchase. And I would buy from these folks again without hesitation. AWESOME!!! New, clean and complete!